Hi, I’m Dominique (pronounced dah-muh'-neek) and I live in Dallas, TX! I consider myself a maven of sorts especially for #financialliteracy, #economicempowerment, and #personaldevelopment. As an advocate of financial education, I use my podcast to introduce throught leadership around personal finance. The goal is to allow you to discover how to do more with your money and your finances. Here are 3 marriage and finance tips for communication that we have used throughout our 21 years to help us with managing finances in marriage! There’s good debt vs bad debt. In this episode, I talk about a lender’s top concern which is your debt to income ratio. After 21 years of marriage, these are our 3 must-haves that any marriage or relationship needs in order to successfully handle finances in marriage! TODAY>>Creating a plan for managing finances in marriage and living debt free are essential. Here are 5 tips for handling debt when you share finances in marriage! How can I use my 401k to build wealth?" TODAY’S TOPIC: Another Successful Career Transition from the Gridiron w/special guest Jeremy Stewart Hosted By: Dominique J. Henderson, Sr., CFP® (Send me an email) Get Alerts at: Link to Show Episode (For mobile users) I recently shared the mic with Jeremy Stewart–former NFL pro, Stanford alum and Wharton School of Business MBA candidate student on the Experiencing Financial Contentment. We talked about… about his NFL playing days, his love for finance, and how he became exposed to the world of business; Jeremy also shares his perspective on what it takes to make it in the NFL for any aspiring young athletes. TODAY’S TOPIC: What is Good Financial Advice? 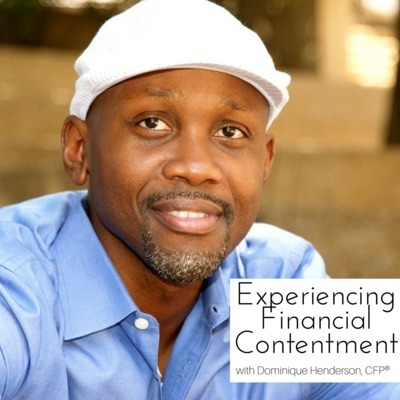 Hosted By: Dominique J. Henderson, Sr., CFP® (Send me an email) Get Alerts at: Link to Show Episode (For mobile users) If you’ve ever asked: “what is good financial advice” or “what does good financial advice look like”, I’m going to talk about how to figure out if you should: 1) take your own financial advice, or 2) hire someone to give you financial advice Segment 1- Know yourself… Segment 2 – Understand financial planning is both emotional and logical… Segment 3 – Integrate the 4 components of financial planning… TOOLS FOR GROWTH * Where do you stand financially–Take our quiz! Podcast Details: Podcast Title: Creating Margin for the Life You Want – Part 1 Podcast Series: The Maven’s Keys to Financial Contentment The Maven’s Keys to Financial Contentment is my idea that true financial contentment can be found when an overlap of money and beliefs occur. Many people ask the question of how to be “financially content” and this is a discussion to uncover those answers. RESERVE A COPY OF THE E-BOOK! Catch the YouTube Version here… Link to Show Episode WHAT WE’RE TALKING ABOUT TODAY * So not so long ago I had a meeting with a client and we mutually agreed that our objective in working together was to “create enough margin for the life they wanted”. I thought this was a beautiful way to articulate how I view financial planning. Podcast Details: Podcast Title: Selling Ourselves Short Podcast Series: The Maven’s Keys to Financial Contentment The Maven’s Keys to Financial Contentment is my idea that true financial contentment can be found when an overlap of money and beliefs occur. Many people ask the question of how to be “financially content” and this is a discussion to uncover those answers. (HEAD OVER TO YOUTUBE FOR THE VIDEO VERSION) Last week we discussed what “finding and doing what you love to do”. After that show aired, I thought about how I should have dealt with the issue of how we “sell ourselves short” first. So this will be a prequel of sorts. You may not think that you sell yourself short, but if you dream less about what you want and could do, you are doing it. Podcast Details: Podcast Title: Financial You–Part 4 Podcast Series: The Maven’s Keys to Financial Contentment The Maven’s Keys to Financial Contentment is my idea that true financial contentment can be found when an overlap of money and beliefs occur. Many people ask the question of how to be “financially content” and this is a discussion to uncover those answers. What makes up financial you? Is it your money? How do you feel about it? Are you happy? Are you content? If you are or aren’t content do you know what is making you feel that way? I believe a lot of people ask these questions internally, everyday and don’t always have answers. Here are 4 steps to uncovering answers to those type of questions. ASSESS, ADDRESS, ADJUST, ACHIEVE A brief review of the rubric. These are the questions I believe a lot of people ask internally, everyday.